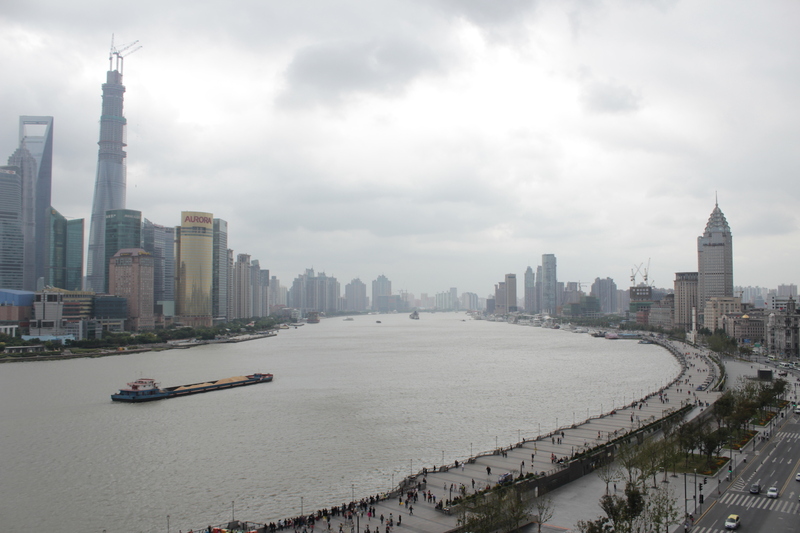 The mighty Huangpu River (黃浦江), the heart of Shanghai. Shanghai is one of those epic cities that once you get to know, you will find impossible to forget. It lingers on in the mind like an ex-lover, suggesting drama and romance. It is also one of the six cities in the world I consider HOME, because (some of) my immediate family, whom I love very much, live and work there. Shanghai is furthermore, THE quintessential Treaty Port, being one of the original five treaty ports forced open in 1842 in the aftermath of the First Opium War. It would become the most important port and financial centre not only in the British Empire, but in all of Asia. For evidence of how mighty it once was – and how it has already reclaimed that eminent position today, look no further than the Shanghai Bund: one of the most iconic views in the world. View of the Shanghai Bund (上海外灘) from Pudong, across the river. Erected as a tangible and imposing manifestation of (the BRITISH) EMPIRE, it has miraculously survived two World Wars and a Cultural Revolution, and today still stands as a reminder of the city’s heady past. Across the river, however, a new Shanghai, replete with towering contemporary monuments in glass, steel and neon looms – a symbol of the city’s 21st century aspirations; building on and never once repudiating that which the old colonial city across the river represented. Shanghai is the new China! So this new skyline proclaims. Though of course, this is simply a recent incarnation of the same narrative that has been in place since the early 1900s. 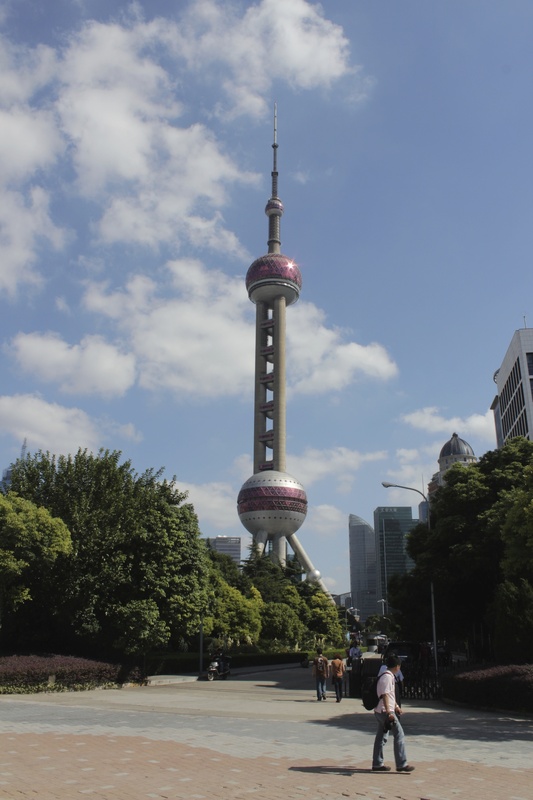 Shanghai has and always will be the new China – dynamic, heady and exciting. It was so in 1842. It was so in 1932. And so it is today. 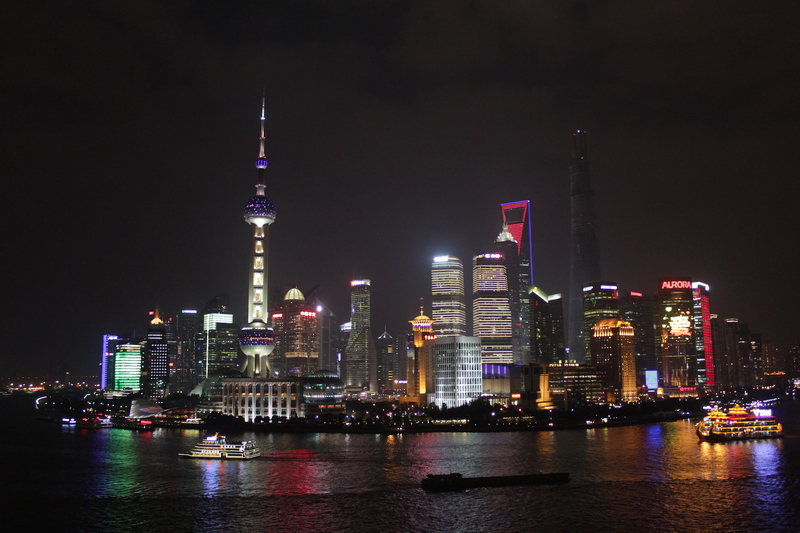 The Pudong (浦東) skyline at night. Which is not to say that there is nothing deeper and older about the city. The city proper consisted/consists of three separate cities – the International Settlement, managed by the British and Americans, and featuring the Bund and other famous landmarks such as Bubbling Well Road (today’s Nanjing Road); the French Concession, an almost-suburban landscape of colonial villas and leafy boulevards of plane trees; and the Chinese City, once-walled, and retaining a kind of messy mediaevalism that still holds true today. 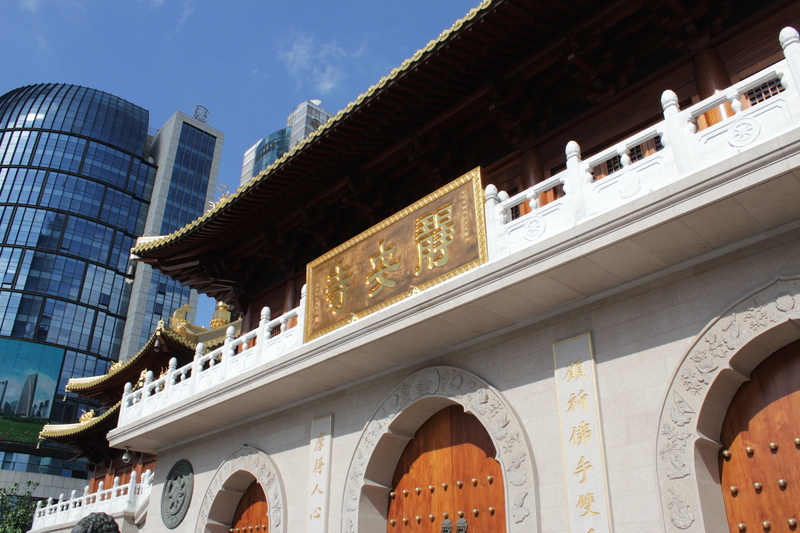 One of the oldest landmarks in the Chinese City is the venerable Jingan Temple, which has been in existence since 247 A.D. Naturally, like many other ancient temples in China, Jingan Temple has been moved from its location and rebuilt multiple times in its almost two millenia of existence, and today’s temple (existing on site as of the 1200s A.D.) was majorly refurbished very recently to re-open only in 2010. Previous to that, and during much of the ’50s- ’80s, the temple had (tragically) been converted into a plastics factory. The ultra-modern and super-ancient Jingan Temple (靜安寺). This – my 5th stop on the Grand Tour of East Asia – will see me exploring the history and architecture of Shanghai – the city “On The Sea” (which is what the name “Shanghai” 上海 literally means) – in a series of posts. 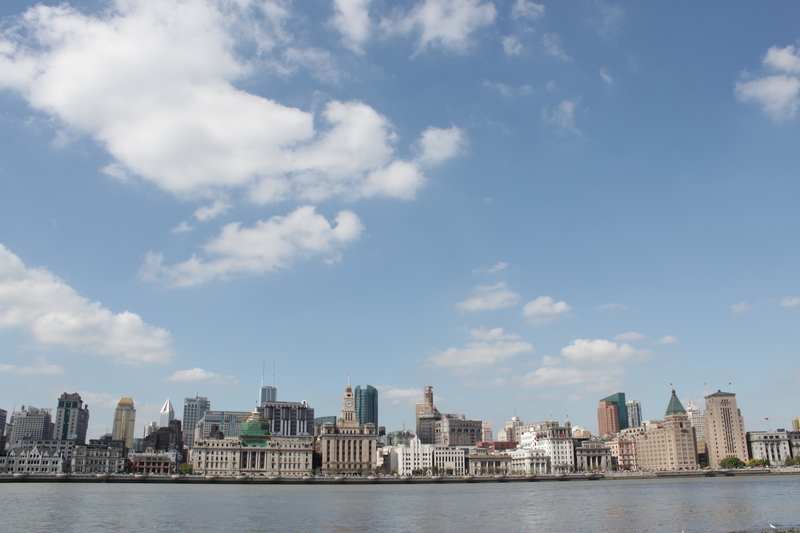 The first will be on the Shanghai Bund – the heart of Old and New Shanghai; the second on the International Settlement that exists behind the imposing edifices of the Bund. This will be followed by a wander through the French Concession, touching upon two other important communities in Shanghai: the White Russians and the Jews. Finally, we will stop in at the famous Cathay Hotel, today known as the Fairmont Peace Hotel – Shanghai’s grande dame and my home away from home whenever I stop in the city. This series of posts is above all, a tribute to a city I love; one which I call Home. An epic city the kind the world only has a few of, and which said world has missed in the half a century in which it retreated into grey (Communist) seclusion. Today, it preens in full technicolour splendour. 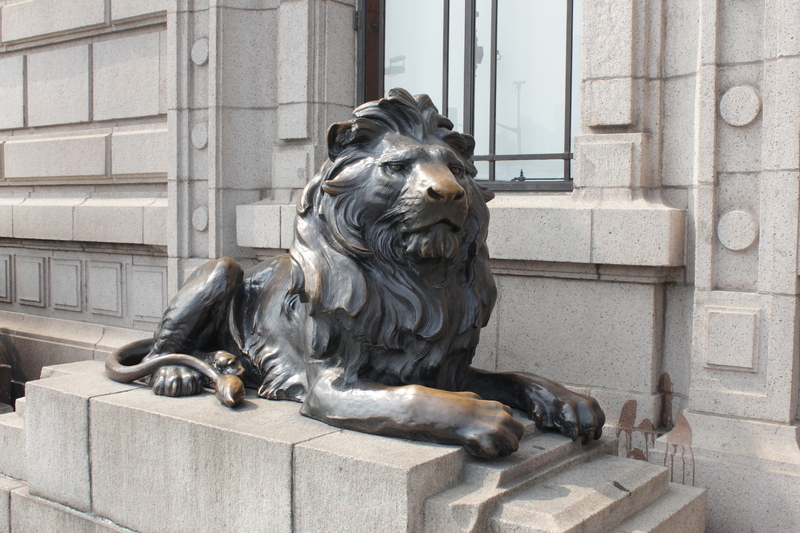 One of the pair of lions at the entrance to the former Hong Kong and Shanghai Bank Building on the Bund. 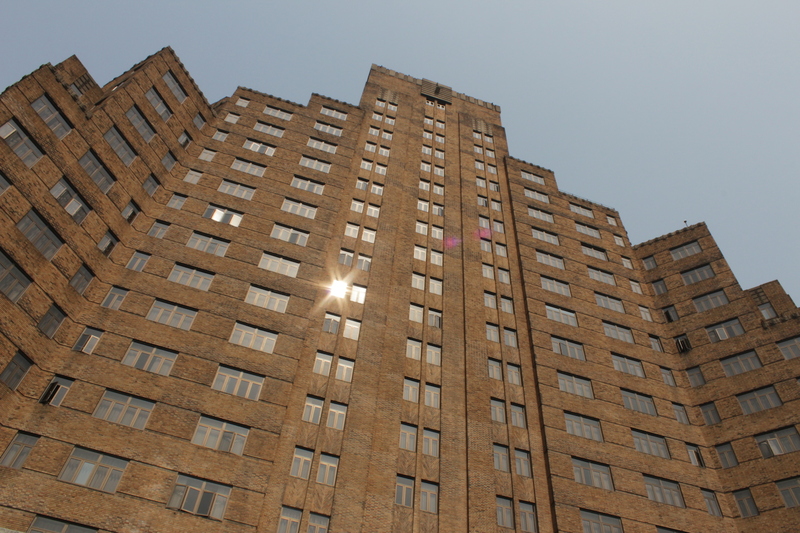 The art deco Broadway Mansions, built in 1934 along the Suzhou Creek, and one of Shanghai’s most famous landmarks. It channels Manhattan, New York. Gallery | This entry was posted in Art & Architecture, China, Cities & Regions, Culture & Lifestyle, Home, Landmarks & History, Photography, Sociology & Urban Studies, Travel & Mobility and tagged China, On the Sea, Shanghai, The Grand Tour, The Grand Tour of the Far East, Treaty Port. Bookmark the permalink.